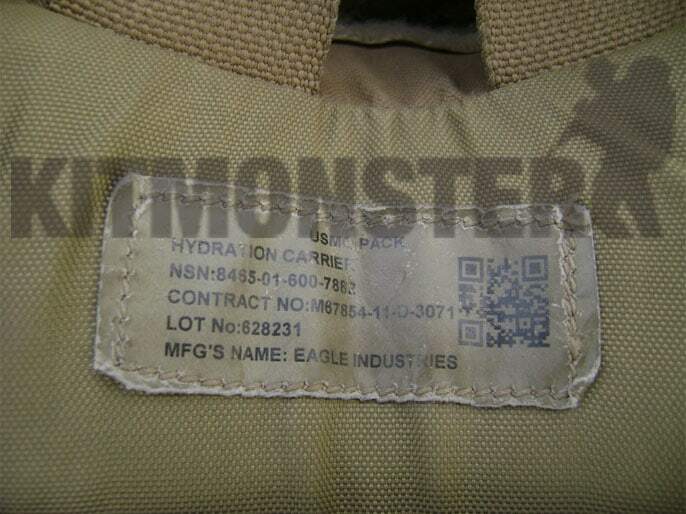 Genuine USMC issue hydration system carrier pack, manufactured by Eagle Industries. 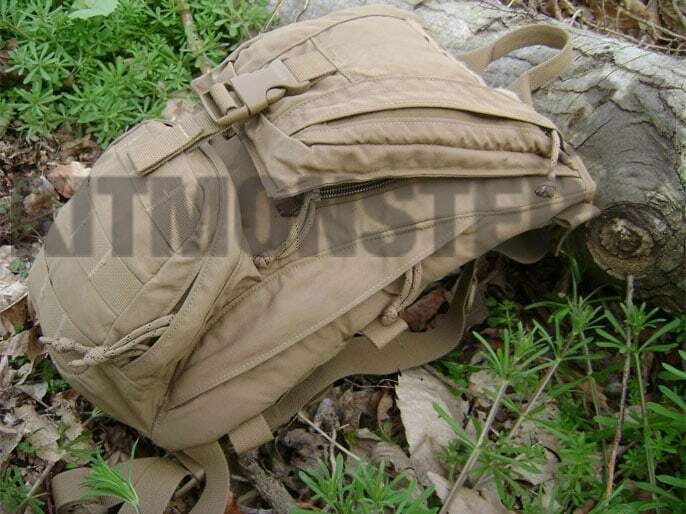 Coyote Tan Cordura cover, single main compartment with 2 external utility pockets. 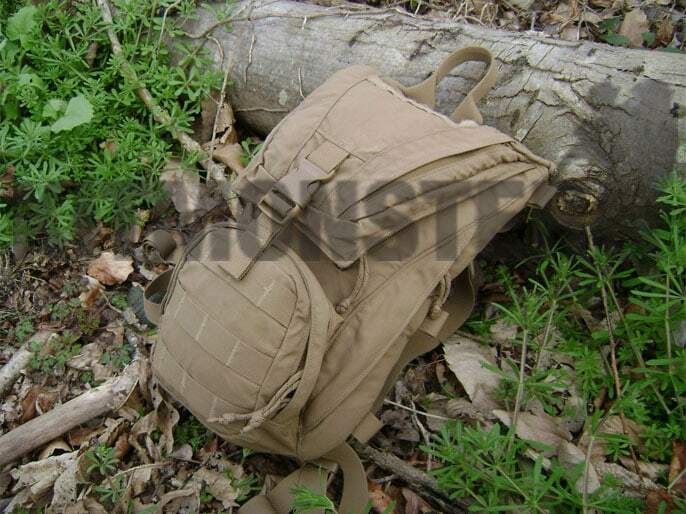 Similar design to the Camelbak 'Ambush'. Upper pocket is zip closed and forms part of the cover to the filling port. This cover is zipped and buckled in place. 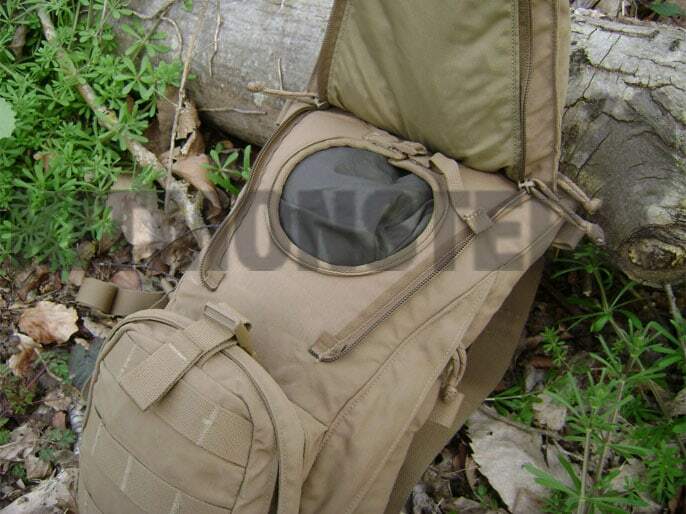 Lower pocket has external MOLLE strapping, 2 way zip and internal mesh pockets and key clip. Main compartment sized for a 3 litre bladder, large opening for filling port, hosing routing channels on both shoulders. 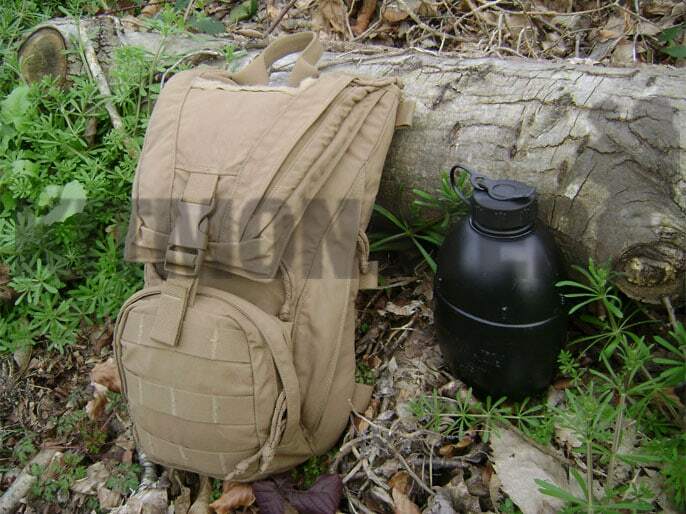 Compatible with Camelbak brand hydration bladders, both 'Water Beast' and 'Antidote' 3 litre reservoirs will fit. Adjustable shoulder straps with D rings, quick release buckles and chest strap, carry / hanging handle and drainage eyelet on cover. 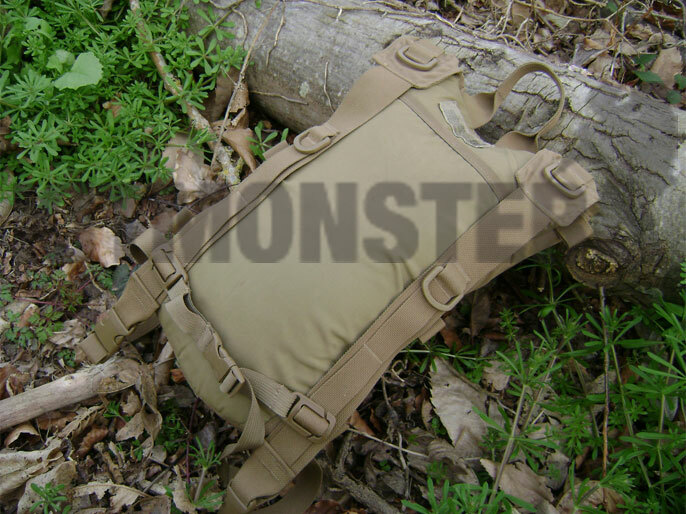 Harness can be stowed away behind the back panel, the cover features 3 webbing loops on each side, which can be used to fit this to a MOLLE armour cover or pack, Nexus Grimlock type karabiners would be ideal for this. Karabiners are not included. 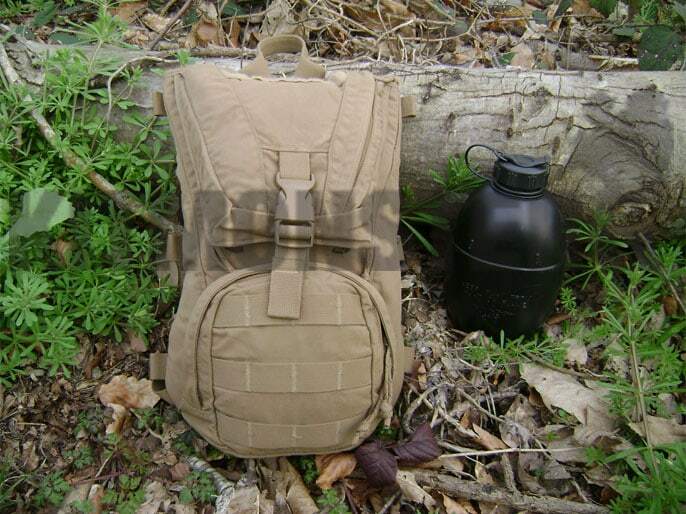 Multiple views shown, single emtpy cover supplied, UK issue 2 pint water bottle for scale only, this is not included.